Click here for info and drawings of the design phase, at www.iconenvandepost.nl. Click here for info and drawings of the design phase, at www.postzegelontwerpen.nl. 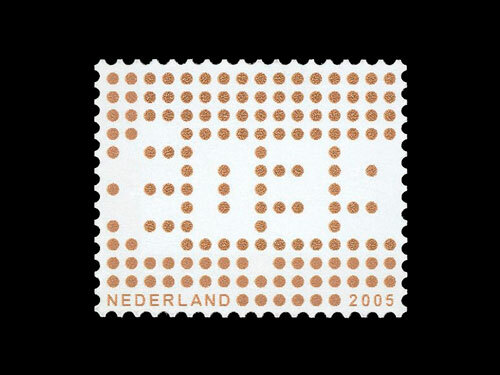 'Business Stamps 2005'. Martijn Sandberg. 0,39 Euro. Size: 25,3 x 20,8 mm. Print colour: copper. 'Business Stamps 2005'. Martijn Sandberg. 0,78 Euro. Size: 25,3 x 20,8 mm. Print colour: silver. 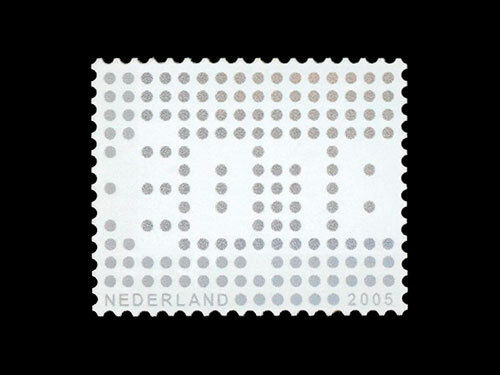 'Business Stamps 2005'. Martijn Sandberg. 0,39 Euro and 0,78 Euro. 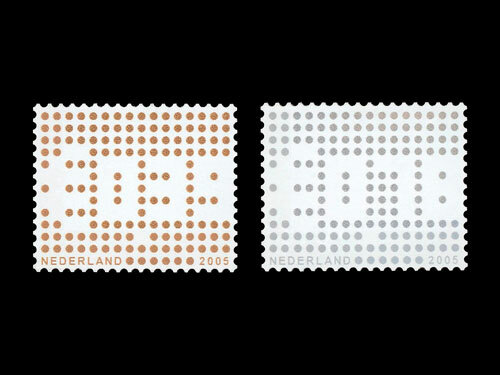 Stamp size: 25,3 x 20,8 mm.